There are so many great recipes on steemit. 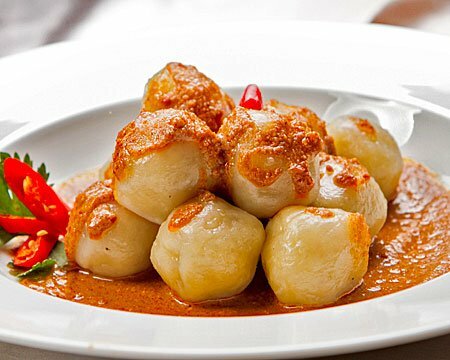 Food is always popular and has universal appeal. Steemit needs to expand its numbers, its demographics and its mass appeal. 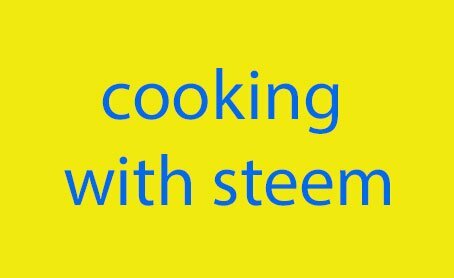 Can we bring the two together and use recipes as a way to promote steemit? Instead of just giving out leaflets to attract new users, how about giving out recipe sheets, or better still little recipe booklets, as an example of the range of content on steemit? The recipe books or sheets could be general or could target particular food audiences. The recipe books could be used globally, or they could be selective for each country. Each would be in the appropriate local language. The smaller recipe sheet could be an A4 sheet folded to A5 with a recipe on each of three sides. The fourth side would have details about steemit, what it is, how to sign up etc. Each of the recipes would include the steemit address of the recipe provider. The full recipe books would obviously be more costly to produce. It would depend on the number of pages, type of binding etc, but a target price of less than a dollar each should be achievable. The full recipe books might have say 36 recipes, with a cover illustration on the front, and a about steemit and how to join section on the back. Again all recipes would have the steemit address of each provider. Pretty simply really. Here's a suggested step-by-step plan of action. Invite steemians to contribute original recipes. The best / most appropriate recipes are selected. The selected recipes are checked for originality of content, and light-touch edited to standardise (and internationalise if necessary) measuring units. The recipes are then laid out into a more or less common format to fit onto an A4 page. The about steemit / how to join steemit page is added. The recipe leaflet or recipe book is then compiled into the final pdf ready for printing. The pdf is made available for anyone to download and get printed for local use wherever they are. It is envisaged that steemians will not be paid directly for their recipes. They must be willing to provide them freely. The big payback for recipe contributors is that their steemit address will be on the recipes so they are likely to gain significant numbers of followers (and therefore upvotes). All recipes must be original - they cannot be copied from recipe books or online sources. Contributors will be asked to give an undertaking to that effect. Images to be used with the recipes must be either original or from an identified copyright-free source. Contributors must allow for some editing of their recipes. This will only be for grammar, spelling, unit standardisation etc. The ingredients or instructions will not be materially changed. Once the recipe leaflet and recipe book have been created, the format and layouts will be available for anyone to use anywhere in the world, assuming they are not used for commercial gain and the original authors are given due credit. One big question will be funding for printing. I don't know if Steemit Inc has any budget available to help with this sort of promotional work. Maybe @andrarchy could assist with this question. Alternatively it is perhaps something @stephenkendal and @Starkerz 's #promo-steem project might be able to help with. Failing that any steemian or group of steemians that are looking to promote steemit in their location might just want to self-fund the printing. They could post about their individual project and how they distribute the recipe sheets and book. Hopefully the upvotes from the posts would help cover the costs. Does anyone think that this is a worthwhile way to promote steemit? Anyone interested in contributing a recipe? Anyone interested in helping make this happen? I would be happy to take this project forward if there is enough interest. It would be great if anyone would like to help. I am sure it would be much easier with a steem team. The tasks of recipe selection, editing, layout, design and production could be shared. If you found this post useful or interesting please do upvote, resteem and follow. Thank you. Brilliant concept my friend @pennsif. I would be willing to do whatever I can to help this project along. I love your creative ideas. Upped. Awesome idea, @pennsif! Making a collection of posts sounds exciting, and recipes are just perfect for this. The only thing I'm not so sure about is printing information on paper... With all the possibilities of the internet (from hyperlinks to keeping the list dynamically up-to-date) it seems like print media has some major shortcomings, not to mention it's costly, produces waste, and is relatively inflexible. Of course it is great for trying to get all those people on-line (and into blogging, and into cryptocurrencies) who still haven't joined us yet. So I remain to be convinced on this paper question, but the Steemit recipe book as such is a great idea. I would say the same applies to a Steemit travel book, a Steemit DIY book, etc. Lists, collections, and anthologies of all kinds are what could give old posts (of more than a week) a welcomed revitalization. Hi @hopehuggs, thanks for the tip on Amazon Createspace, I had not come across that before. I hadn't thought about the idea of selling the recipe books. I've just read your post where you put forward the publishing idea. That definitely has potential. From the Kindle point of view, they could be given away for free. I have published a few picture books via createspace, so know a little bit about it. Hi @starkerz, thanks for your support on this. I will start to track down suitable recipes for a 'first edition' and see who expresses interest. If you know any steemians who post recipes do pass on the idea to them. @aunt-deb's idea in the comments of holding contests to help select the recipes is really good. I'll think through how that might work. I'm hoping once we've tested out the idea here and if it works well then maybe it can be passed on to others around the world through the #promo-steem project. Great idea and I think this way of spreading the word about Steemit might work. People tend to hang on to recipes (unlike flyers or even business cards), so they'll have the info handy even if they don't join immediately. Perhaps you could run a series of contests to choose, say the top five recipes, then use the proceeds from the contest posts towards printing costs. The prize for the winners is being included on the list. Bragging rights, if you will. That's what I first thought this post is going towards: a contest to be included in a "best of steemit collection". I could see something like that really becoming successful. Bragging rights are an important matter when you want to make a name for yourself. Thanks @aunt-deb. I like the idea of running the contests. I'll think through the logistics of how to do that and see what I can come up with. You're welcome! I'm sure you'll figure out a clever way to accomplish it! Really good idea! I'm not sure I have any recipes to contribute but I would like to help out wherever I can! Glad you like the idea. If you spot any good recipes out in steemit land and you can get the authors interested do let me know. Maybe we could do a Cooking with Steem for Homesteaders edition as well?! Hi @johnbcheffin12, thank you for your interest. I have followed you so I can look out for any of your recipes. 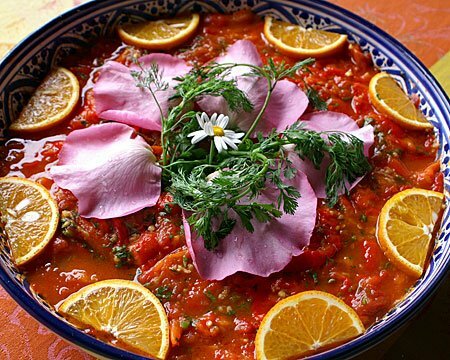 Have you got a favourite recipe that you like to contribute to the project? Party Potatoes looks good. Thank you for asking and sure i can let you use Party Potatoes. Please let me know if and when you use it. Id love to help however. I made two books while in culinary school so i could probably help you in some way. Thanks for the love. Id be happy to contribute but if you want to use my work, just ask what ones you like or need. But please ask so i can keep track of what recipes being used. Thanks again for the luv. Cant wait to see the progress. I love the idea. Not only is it a way to promote Steemit it can also be a way to get people interacting more on Steemit. @pennsif you always come up with wonderful ideas, I love this idea, and I would love to contribute some recipes be sure to catch me on Discord about this. @pennsif I dunno; Raccoon is not just something one picks up in a supermarket. I would have to soak the carcass for over twenty-four hours in a solution of salt and baking soda to remove the gaminess. Then I would roast it with sage and other spices that I would rub in. It resembled turkey but sweeter. You could submit recipes for hedgehogs. Perhaps Steemit could have a function to download an article as a PDF, so that - for example - recipes can be saved easily. nicely put, I think you have a lot of good ideas and would love to see them implemented. It's hard to know what recipes are just cut n' pasted vs. original. Good insight.